House is move in ready, with neutral carpet and paint. 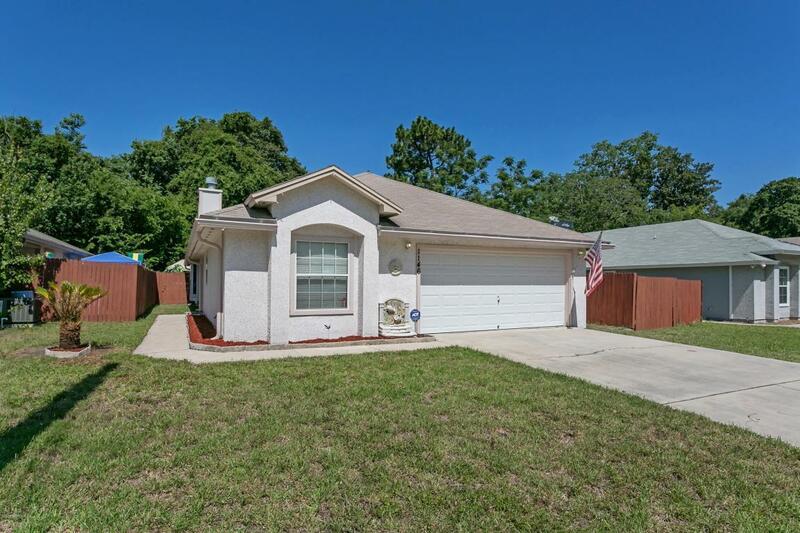 Located just minutes from the Beaches, Schools, Naval Station Mayport, Shopping & Restaurants. This home has one of the largest lots in the area, the side yard alone can easily accommodate a boat, outdoor recreational equipment and a play ground. It has 4 spacious bedrooms, 2 bathrooms, 2 car garage. It is perfect for a growing family. Open floor plan with a fireplace and separate dining area. If you enjoy spending time outdoors you will love relaxing in the evenings on the wrap around deck, under the shade of the trees in the hot tub or on the lanai.